Karim P. Husain concentrates his practice in the areas of Wills, Trusts & Estates, Bankruptcy, Business Consulting & Commercial Litigation and Tax Controversies & Tax Litigation. Formerly a senior associate with a private law firm and a Big 4 accounting firm, he also served as a judicial law clerk to the Hon. Charles A. Lord of the Commonwealth Court of Pennsylvania and to the Hon. Robert A. Latrone of the Philadelphia Court of Common Pleas. A long-time resident of the Philadelphia area, Mr. Husain received his Master of Laws in Taxation from the Villanova University School of Law, Juris Doctorate from the University of Pittsburgh School of Law and Business Degree from Carnegie Mellon University. 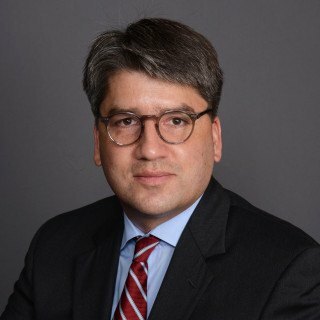 He is a member of and active in the American Bar Association, Chester County Bar Association, Montgomery County Bar Association and Pennsylvania Bar Association. While in Law School, Mr. Husain served as a judicial intern with the Hon. Ralph J. Cappy of the Pennsylvania Supreme Court and as a Law Student Liaison to the American Bar Association, Section of Taxation. Since entering private practice Attorney Husain has enjoyed a well-earned reputation as an attorney that is relentless in the pursuit of his clients’ objectives. Attorney Husain’s commitment is to provide a superior quality of client service.